6:03: Bradshaw Rd @ Goethe Rd. 6:26: Arrive downtown Sacramento, 10th & O St.
4:00pm: Depart downtown Sacramento. Stops in reverse. 5:12: Arrive Sutter Hill Transit Center, Valley View Dr.
6:45: Arrive 5th & J St.
6:30: Arrive Sacramento. Stops at 10th & I and 10th & O Street. 3:55pm: (3:25 on Fridays) Leave Sac from 10th and I back to Auburn. Pick-ups determined by needs of riders. 6:10: Penryn Road & I-80 Park & Ride. 4:20pm Mon-Thurs: Departs 707 3rd St. Same stops in reverse on the way home. (Flexible, willing to change by 5–10 minutes to facilitate drop off/pick up in the downtown Sacramento area. 4:05: 13th & U St.
Also stops in Natomas behind shopping center. 5:45 AM: Penryn Road & I-80 Park & Ride. 4:00PM: Mon-Friday: Departs 1515 S Street Same stops in reverse on the way home. Fairfield 916-657-7123 Vanessa Paschal-Martin Stops in Fairfield. 5:05: Arrive Cement Hill & Dover Ave.
Galt 209-683-4258 Minh Do 6:05am: Depart Galt parking lot by Squeeze Burger. Stops at 16th & Capitol, 7th & I, 3rd & R St. Park at CalPERS. 7th & J, 15th & N St.
Lincoln 916-653-3341 Raquel Jaimes 5:55am: Depart Lincoln's McBean Park & Ride. 4:00pm: Depart and pick up. 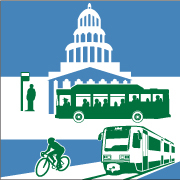 Lincoln / Roseville 916-319-9467 Frank Banuelos 6:05am: Depart Lincoln's McBean Park & Ride. 6:20: Pick up at Roseville's Eureka/Taylor Road Park & Ride. 3:45 pm: Pick up in downtown Sacramento. Lodi / Galt 916-323-0575 John Gordon 6:00am: Leave Lodi Park & Ride, (East Victor & Beckman Rd). 6:55: Stop at High Speed Rail, 15th and Capitol Ave.
Roseville to Sacramento 916-227-9011 Gilbert Petrissans 6:15 am: Depart Roseville Sunsplash. Taylor Road Park & Ride. Roseville / Antelope to FTB 916-876-4552 Donna Roberts 6:05am: Pleasant Grove Blvd near Woodcreek Oaks Blvd. 4:30pm Monday - Thursday: Pick-ups begin. 4:15pm: Leave Med Center after various pickups. Stockton 916-376-5049 Lucy Wong AM: Picks up passengers between Eight Mile Rd. and Trinity Park Way in North Stockton. 7:00: Arrive 450 N St. Downtown and 707 3rd St. in West Sacramento. Stockton 916-327-9353 Anne Cervantes 6:20am: Depart Stockton from Ben Holt & I-5 in the Marina Center west of McDonalds. 7:05: Arrive N & 5th St.
4:09: I & 11th St.
4:12: 9th & N St.
Travel I-5 into downtown Sacramento. Drops at DGS in West Sacramento, Downtown in and around Capitol. Stockton 916-445-1241 Manuel Rodriguez 6:00 am: Leave Marina Market at Ben Holt & I-5. 7:00: Arrive Sacramento. Caltrans Farmers Market and Caltrans HQ. P Street parking lot. 5:35: Galt - Twin Cities Rd. Park & Ride off Hwy 99. 5:00pm: Depart FTB Central Office. Vacaville 916-324-7646 Paula Sholberg 6:40am: Depart Vacaville Ulatis Transit Center on Allison Drive. Dropoffs at 4th & N Street, 16th & K Street. Park 15th & R.
Stop anywhere along that route. Return to Vacaville begins at 4:30 pm. 6:25: Arrive Gateway Oaks in Natomas. 6:40-6:45: Drop offs along N St.
6:50: Arrive Alhambra & R St.
3:30pm: Depart Alhambra & R St.
6:00: Arrive 5th & Q St.
6:05: 12th & Q St.
6:10: 30th & S St.
6:15: 34th & S St.
6:20: Arrive 59th & Folsom Blvd. 3:45: Depart 59th & Folsom Blvd. 4:00: 30th & S St.
4:08: 11th & P St.
4:12: 5th & O St.